I've been spending a lot of time lately doing DevOps related work, and I thought it was important to post a review of what is often considered the first "DevOps fictional book". I know that sounds like a geeky book but it's not quite as you might expect. 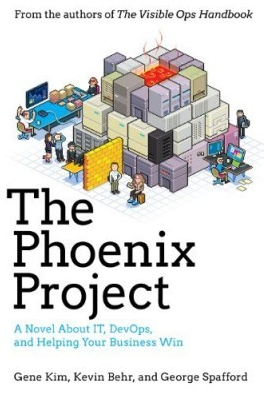 The Phoenix Project: A Novel About IT, DevOps, and Helping Your Business Win by Gene Kim, Kevin Behr, George Spafford is a bunch of fun. It's the story of Bill. He's an IT manager at Parts Unlimited. (And for those who've done much Microsoft-related DevOps work, yes that's the same name as in the Microsoft sample apps). Bill's day is starting badly when he's pinged by the company's CEO. Phoenix is the name of a new critical company project that's in trouble: it's way, way too late, and way, way over budget. Yes, we've all seen projects like that. The CEO wants it fixed and he wants Bill to do it. The authors of this book are well-known in the DevOps communities but perhaps the surprising part is how well this book is written. It moves quickly and is very entertaining to listen to. I wasn't the only one in my family to listen to it, so that's a testament to it not being too geeky. It's mostly about the human processes involved. Now even though there are setbacks, everything ends up going better than what I see in most companies, but it's still full of interesting lessons. 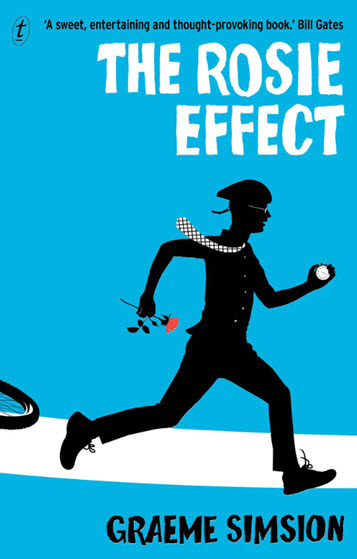 This is regarded as a seminal book related to DevOps (even though it's fiction). Bottom line: If you've never read this or listened to it, and you're into either DevOps, or just into trying to get things done in an organization, it's time to do so. One of the things that using Audible has let me do lately is to get through additional books that I'm interested in. Part of that has been to go back through real classics. 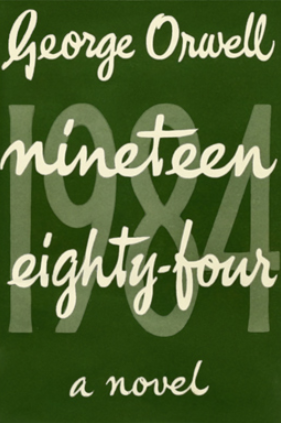 They don't come more classic than 1984 by George Orwell. The first two chapters in particular had me simply amazed at how prescient Orwell was. So many aspects of what he described that were clearly intended to be horrific and unthinkable at the time, and yet are so close to the current reality in many places that it's quite chilling to listen to. The book describes Winston Smith living in a dystopian world that is constantly at war, barraged by endless propaganda, and surveillance. Smith is nobody special but is a member of the party, unlike the proles who he begrundgingly seems to admire somewhat. If anything, it's quite depressing in a way, that humanity has learned so little since this was written in the late 1940's. Obviously, he'd just come through the second world war period, and I can't imagine how bleak that would have been. I'm sure the Nazi regime would have heavily influenced his thinking. It's fascinating to see how Smith thinks he's a real rebel, yet the party is even more clever all the time. The quality of the writing is amazing and it's clear to me why this is regarded as such a classic. Apparently, he had tuberculosis while writing most of this book. Bottom line: If you've never read this or listened to it, it's time to do so. You would have to be hiding under a rock to have missed the current low-carb ways of eating, and particularly the ketogenic thinking about food. Central to much of this thinking though is cutting carbs in general. The hard part about this for most people, is cutting the primary source of carbs and that's sugar. If ever there was a leader of the fight against sugar, it's Gary Taubes. His book The Case Against Sugar is very significant. I remember him shocking people years ago by pretty much pronouncing sugar as toxic. When I look back over my own life to date, I think he's right. If there's anything that I wish I could go back and change, it would have been my various forms of addiction to sugar, in all its forms, including innocuous ones like bread and rice. 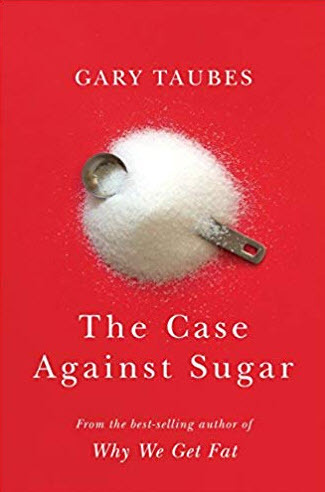 In this book, Gary presents a case directly against sugar and implicates it primarily as the the number one thing that's led the world into a Type 2 Diabetes epidemic. I'm one of those people, and when I make the best progress, it's when I've basically eliminated sugar and carbs. 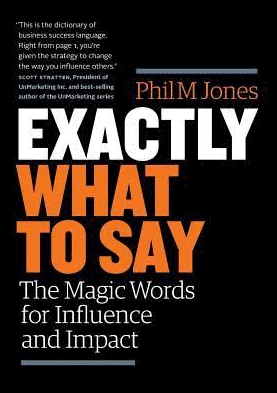 The verdict isn't totally in, as you can imagine, but I think you'd be pretty hard-pressed to read or listen to this book, and not come to the same conclusion. And every single day, I now see the results of this in various forums that I'm part of. As a book, it's compelling but I do think he belabors a number of points. I'm sure he's doing that to simply drive the main message home. But there are some sections where I think he made the same point again, and again, and again. That could have been less. I really suspect that in the future, when the dust settles on all of this, Gary's thinking will be seen to have been seminal in starting to fix our current issues. It's interesting that the sugar industry is now seeing the writing on the wall. Sugar was one of Australia's key exports in the past. Fortunately that's in decline. But I note with interest the pop-up stalls in shopping malls now where sugar is being defended with near religious zeal. I'm reminded of how cigarettes were defended when I was young. Bottom line: If you have any doubts about the role that sugar plays in our lives, just read it or listen to it. You won't think the same way again. Using Audible to listen to books has allowed me recently to get through a lot of books that I would never have had time to get through. I'm determined to get through some classics as well. 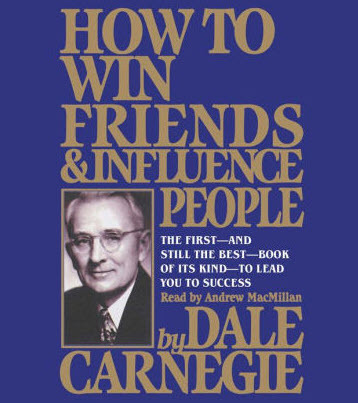 Self-improvement books don't come more classic than Dale Carnegie's How to Win Friends and Influence People so I listened to that too. 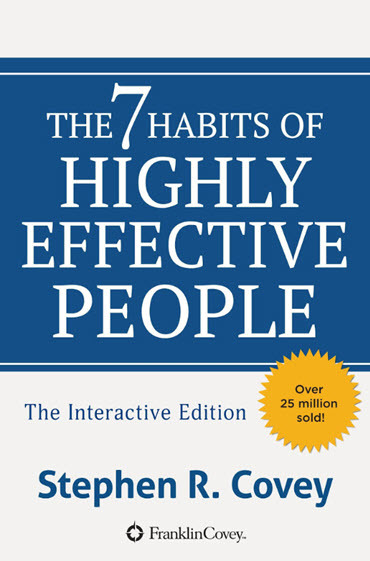 I know several people who say that, in the 1990's, attending one of the seminars associated with this book, changed their lives. I can understand how that's possible in some situations. This is a fairly long book. The biggest hassle I see with the book is just that it's dated. Many of the analogies are more suited to a world where dad went to work, mum stayed home, looked after the children, the house, and cooked. But the key points are really well made, as long as you're willing to see what he's getting at, and ignore (or mentally update) any of the dated analogies. I can see why this book is famous although I suspect it's time has now pretty much passed. It's enjoyable though, even though he belabors some of the points. 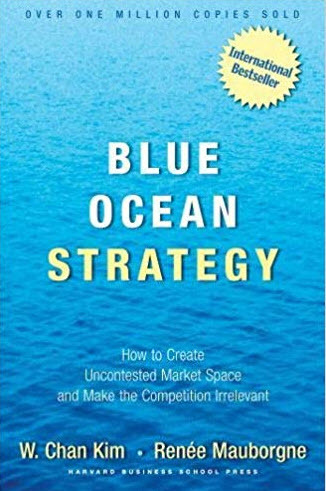 Another fairly famous business book that I've read lately is Blue Ocean Strategy: How to Create Uncontested Market Space and Make Competition Irrelevant by V Chan Kim and Renee Maubo. Apparently over a million copies of this has been sold. I really liked the basic premise of this book. It describes how most companies keep looking at what their existing customers want, and often that's in what they call a red ocean ie: where all the sharks are fighting and tearing things apart. The book talks about techniques you can use to try to escape from the melee in the red ocean and to try to find clear blue ocean. Part of the strategy involves dwelling on people who aren't your current customers. Why don't they deal with you? Can you change that? 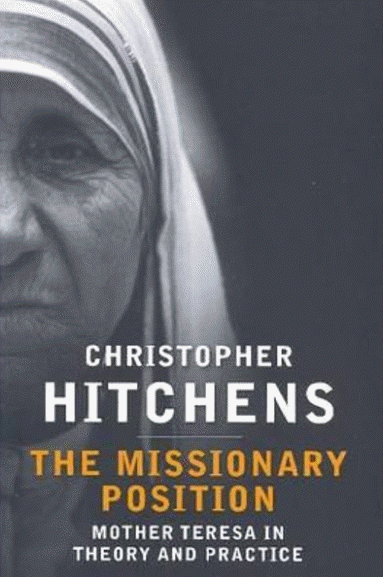 Overall I liked the book but it does suffer from having dated a bit now. I nearly burst out laughing when going through the section on the F-35 Joint Strike Fighter and how it solved a set of problems so nicely, cut the budget enormously, and would be airborne in 2010. Nothing could be further from the truth. And I found a number of examples like that throughout the book where the authors thought something was either wonderful or would go onto glory, but time has shown the opposite. However, the basic concepts in the book are still valid; it's an interesting discussion; and I'm sure it will have you reconsidering many aspects of your business if you run one. 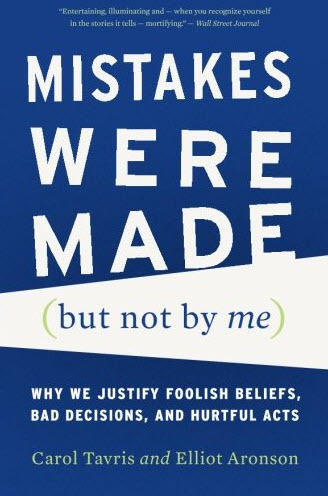 I've been listening to a lot of audio books lately and one that caught my eye was Mistakes were made (but not by me) by Carol Tavris and Elliot Aronson. One of the mistakes that we all can make (and I've done it so many times myself) is to make a decision, find out it's wrong, but to then hang on to it for way too long. It was fascinating (and probably a little depressing) how often I could recognize aspects of myself while reading this book. There were many truly fascinating tales. The ones that most clearly stick in my mind though were about prosecutors who had pushed for a guilty plea in a murder case, later could not accept they were wrong even when the supposed victim turned up alive. The book had a great discussion on cognitive dissonance. The part of the book that I didn't love was the depressing section on the tragic stories about psychologists and the misconceived (and even evil) work around repressed childhood memories of sexual abuse. The point was well made but the book seemed to really belabor the point way too far. Apart from that section which went on too long, I found the book fascinating.